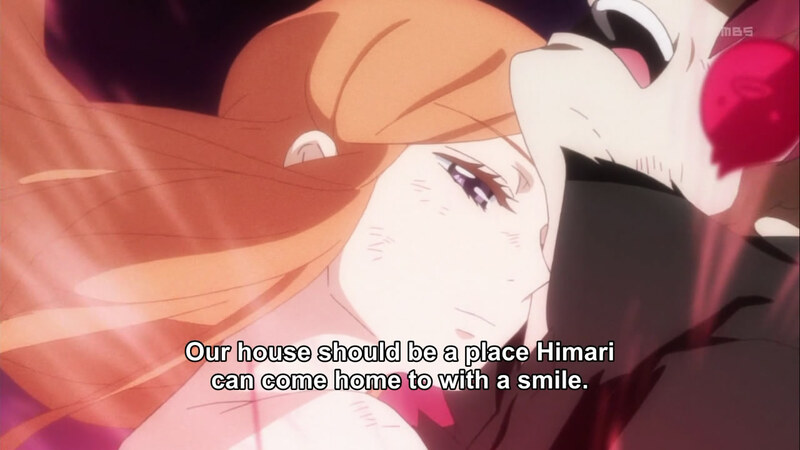 A purposeless Shouma saved Himari and gave her a family, thus shared his apple with her; Himari was henceforth given a purpose, but keep in mind that Shouma received nothing in turn. Then Kanba gets accepted into the family and Himari gives him the bandaid to keep the pain away, thus Kanba decides he'll do anything for her; here Himari was unknowingly sharing her apple with Kanba, because she gave him a purpose. Kanba was able to actually receive the apple because he wasn't completely empty and devoid of purpose like Shouma himself was, as Kanba already had precious people he wanted to protect (Masako and Mario, his words on the cage are a reference to them) as such his "box" was able to connect to the outside world, if only for a moment and the apple reaches him. And when he shares it with Shouma, Shouma's purpose becomes precisely that: Himari no Tame Ni + Kanba = Takakura Family's wellbeing. That's the reason why Shouma is so single-minded about keeping the family united; because thats' what gave meaning to his existence, as such was what he inherited that day Kanba shared his apple with him. He, however, still remains kind of empty and from that comes his apparent incapability to love, but Ringo comes around to change all that. When Ringo (whose name speaks for itself) comes around, she effectively becomes an apple for Shouma, a "whole" one all to himself, and she fulfills the part of Shouma that had remained closed-off to the world. He isn't able to accept it however until he lets his barriers down. The key difference here is that Ringo's metaphorical apple didn't give him a purpose, as he already had one, but gave him the will to break the chains of fate and be assertive, which is what he lacked. After that explanation, things fall more easily in place. Kanba was given an apple because he choice love above all else as a reward. Shouma and Kanba's linked fate was because the apple was shared was the penguindrum was; The heart or purpose the 3 characters shared. 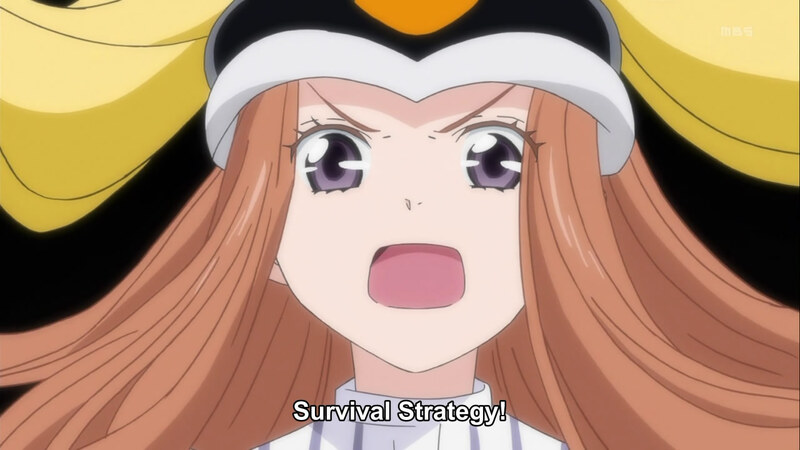 With only 1 apple to go around, both Shouma and Kanba give their half back to Himari so she can live, hence why they constantly needed to give her infusions to keep her alive throughout the anime. Shouma took the place of Ringo knowing he was going to die anyways to save her since she saved him from himself. 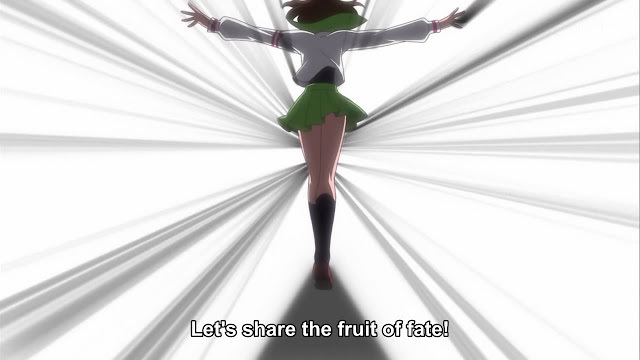 This is why the magic words were "Let's share the fruit of fate!" It was her literally sharing her own apple to change the fate of others much like what Takakura family did. Her version was just a bit more widespread. It was nice how Double H tied in a bit to the ending. The last part with Momo and Sanetoshi waiting for the train, but Momo said they wouldn't come again was because of what the brothers did. Sanetoshi claimed everyone was trapped in a box and could not escape their own selfishness. Kanba sharing the apple broke this and freed them from their boxes. 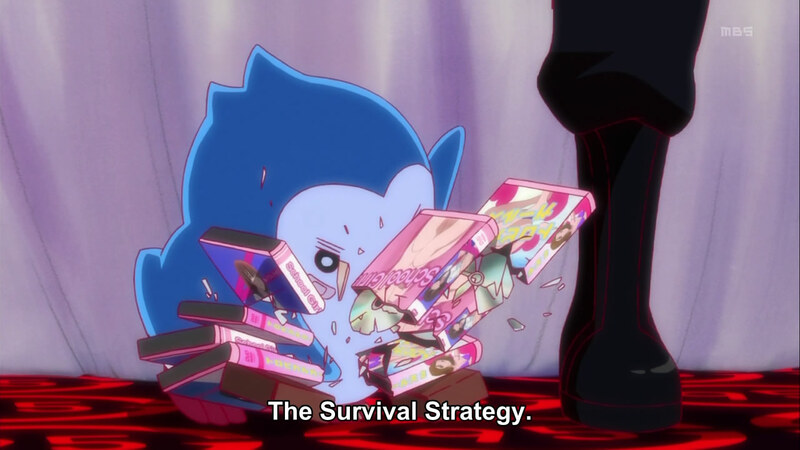 Hence the simple solution to Sanetoshi's curse was to share and never have his "will" passed on. Momo had finally achieved ending the child broiler because of the two she saved. Just by telling the children they were loved, would save them from the child broiler. Her efforts finally came to fruition. Such a sad ending, though I guess it was obvious nothing happy could come from this show. In the end, they only had enough to sustain one of the three lives, they drew that out for the entirety until it finally caught up to them and was forced to reunite the penguindrum. It was just sad to see how they lost the memories of their other timeline. It really hits hard showing all the same scenes in the first episode that changed.